In the Mughal days, the Old City was surrounded by nine meter high brick wall and had a rampart running around it which served as a protection for the city. A circular road around the rampart gave access to the city through thirteen gates. Some of the imposing structures of these gates still exist. Some of them have been destroyed and only six gates survive but they need immediate mending. 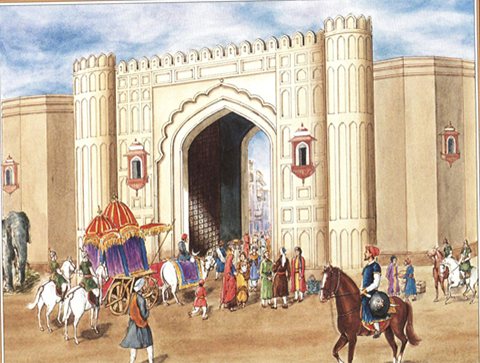 Delhi Gate: One of the most famous gates of Lahore, Delhi Darwaza (gate) was built by the third Mughal Emperor Akbar. This gate is situated on east of Lahore Walled City and opens towards Delhi City, which was the capital of Mughal dynasty. All major Monuments of Mughal era exist inside this gate. Yakki Gate: The original name was “Zaki,” which was derived from the name of a martyr saint, who, according to tradition, fell fighting against the Mughal infidels from the north, while gallantly defending his city. The Khizri or the Sheranwala Gate: The river in former times flowed by the city walls, and the ferry was near the spot where the gate was built. The gate was, therefore, named Khizri, after the name of Khizr Ilyas, the patron saint, according to the Mohammaden belief, of running waters and streams, and the discoverer of the water of immortality. During the Ranjeet Singh’s rule, cages of two lions were put outside the gate owing to which the gate got familiarity with the name of Sheran Wala gate. At present, this gate is passage to huge Pakistan Cloth Market. Kashmiri Gate: This gate is situated in the north of the Walled City Lahore. Kashmiri gate is so named because of its opening towards valley Kashmir. Just like tribe “Bhat” in Bhati Gate, local natives of the gate belong to a tribe known as “Kashmiri”. Masti Gate:The original name of Masti Gate was ‘Masjidi’ gate as the street further down led to one of the oldest Mosques in the city, the Mariam Zamani Mosque, named after the mother of Mughal Emperor Akbar. Over the years, the name Masjidi was changed to Masti. This gate is now the lost part of Walled City Lahore’s history. Roshnai Gate: (the gate of light) was the gate to the main city of Lahore. It was lit by many lights and was named as Roshnai Gate. This gate is still in its original shape and structure. It exists near the main entrance of Lahore Fort and Badshahi Masjid. Taxali Gate: It is one of those gateways that exist only in name. This gate was called Taxali because there used to be a mint (taxal in the local language) in the Mughal era. There are no remains of the gate and the mint. 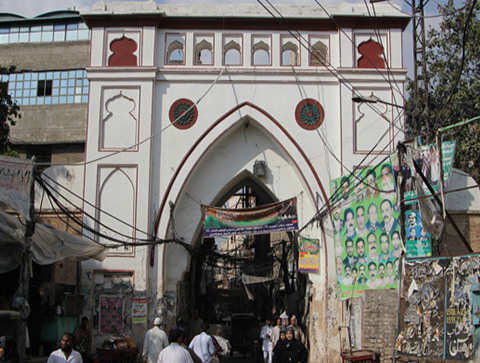 Today a famous Bazaar of Traditional shoes named Sheikhupurian bazaar exists in this gate. 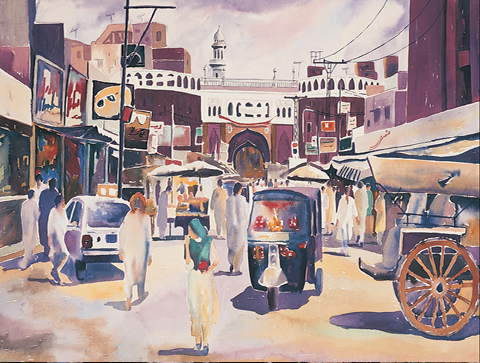 Bhati Gate: is on the southern side of the Walled City Lahore. It was rebuilt in British period. It was named after the Bhatis, an ancient Rajput tribe who lived in the area. 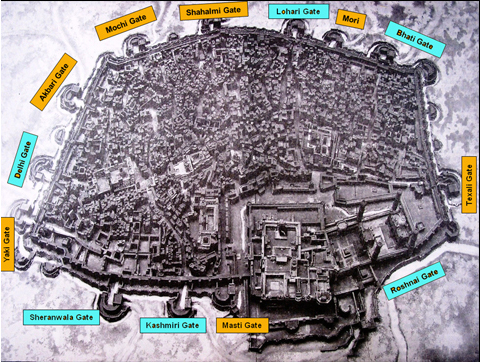 Lohari Gate: is located adjacent to the Bhati gate. 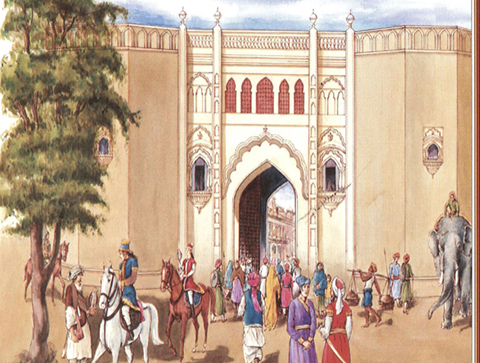 The gate was named after the city Lahore. Population growth inside the Walled City of Lahore started from this gate so the gate was named Lahori /Lohari Gate. Presently a lot of shops are seen surrounding the Lohari gate. 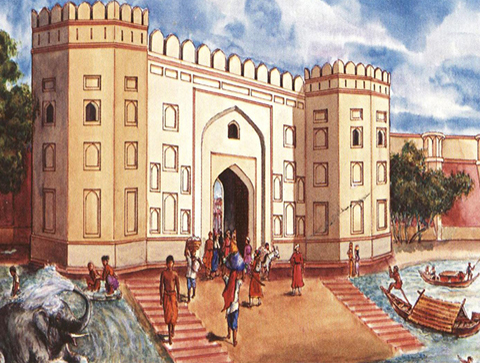 Mori Gate: This gate is located in between the Bhatti gate and Lohari gate. This gate is the smallest gate among rest of 13 gates. 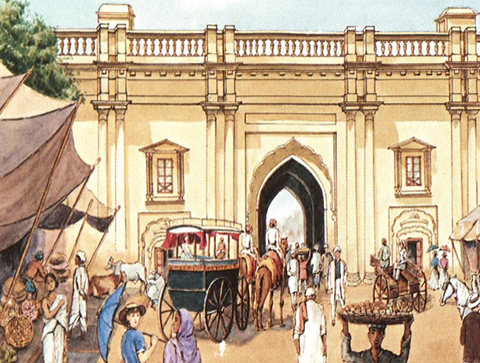 This gate was served to remove liter and waste from the Walled City Lahore. Shah Alm Gate: was named after Mohammad Mo’azzam Shah ‘Alam Bahadur Shah (the son and successor of Aurangzeb). He was a mild and generous Emperor, who died in Lahore on the 28th February 1712. In this Gate most famous market exist of electronics, crockery, toys, cosmetics etc. Mochi Gate: is the entrance of Mochi bagh. There are two stories regarding Mochi gate according to which it is said that, the gate was named Mochi Gate due to the cobbler shops situated in that area and the other story tells that the Gate was named as Mochi after a guard Moti whose name was later distorted by the people to Mochi. Mochi gate contains shops of dry fruits, fireworks and kites. Akbari Gate: This gate is named after the Mughal Emperor Akbar who had rebuilt the town and citadel. This gate was destroyed during the British rule and was never rebuilt. At present, there is a huge grain market close to this gate, also named after the emperor, “the Akbari Mandi” or the Akbari Market. Only Roshnai Gate exists today in its original condition while most of the others like Delhi Gate, Sheran wala Gate, Kashmiri Gate , Bhati Gate, Lohari Gate and Mori Gate had been constructed again in British period and some others like Masti Gate, Texali Gate, Mochi Gate and Akbari gate have no traces today.